THE PBA Commissioner's Office on Thursday approved the trade that will send Sol Mercado from GlobalPort to Barako Bull in a straight swap for fellow guard Denok Miranda. Spin.ph first reported about the deal on December 29. 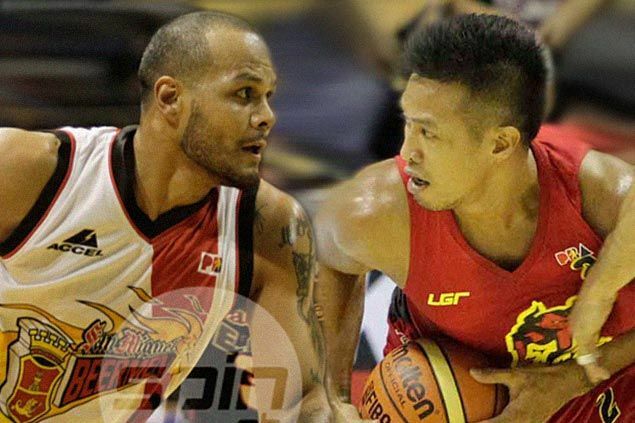 Mercado's move to Barako Bull in exchange for Miranda was actually the second part of a botched trade-deadline transaction last December 10 that saw Mercado moved from San Miguel Beer to GlobalPort for Alex Cabagnot. When Commissioner Chito Salud shot down the second part of the deal for 'not being fair' because of several players thrown into the mix like the Semerad twins, GlobalPort and San Miguel settled for a straight Mercado-Cabagnot swap before the Philippine Cup playoffs. Thursday's transaction merely completed that three-team transaction, with Mercado getting involved in his second trade in less than a month and joining his fourth team in a seven-year career that also included stops at Rain or Shine and Meralco. Mercado, 30, will now be taking over a young Barako Bull backcourt now manned by RR Garcia, Carlo Lastimosa and Chico Lanete while Miranda is expected to lend stability to GlobalPort's guard rotation, which is led by rookie Stanley Pringle and Terrence Romeo. Mercado's second tour of duty at GlobalPort actually lasted but one game.